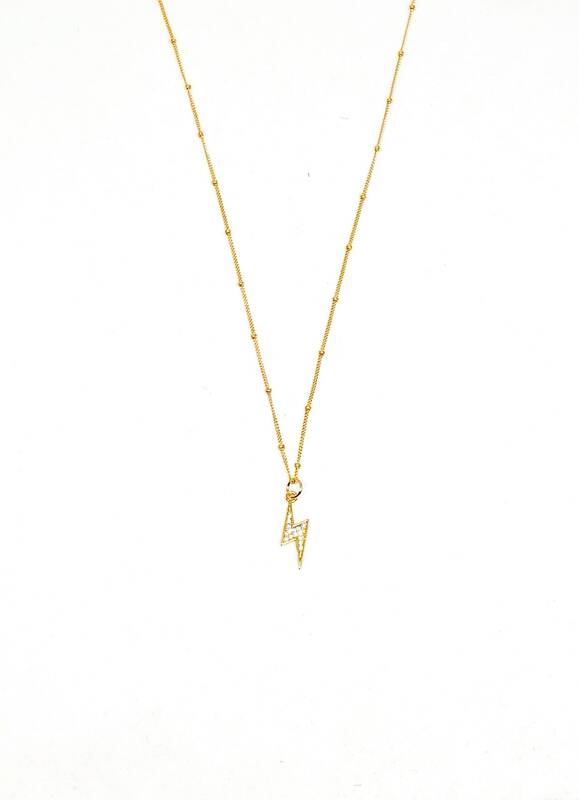 Women's necklace with 14k gold filled lighting bolt CZ and 14k gold filled chain. Stunning women’s necklace made with 14k gold filled lighting bolt CZ and 14k gold filled satellite chain. Beautiful piece to add to your look to make you look radiant. Wear it alone or with other necklaces as you please.